Defending champions India will face arch-rivals Pakistan on September 19, the day after Team India open their Asia Cup 2018 campaign against a yet-to-be-confirmed qualifier on September 18. Slamming the poor scheduling, former India cricketer Virender Sehwag said India should not play the tournament. Sehwag also said a player needs a minimum of 24-48 hours rest after playing an ODI match. “I am really shocked to see the scheduling because which country plays back-to-back cricket matches these days? There was a gap of two days in between the T20 matches in England and here you are playing ODIs under hot Dubai weather and that too without a break. So, I don’t think this is a correct scheduling,” Sehwag said. A furious Sehwag said if there was a problem with the scheduling then India shouldn’t have played the Asia Cup. “Why there’s such hue and cry over playing the Asia Cup? Don’t play the Asia Cup. Prepare the team for the home series or the away series. It’s really difficult to play back-to-back games,” Sehwag told IndiaTV. India, Pakistan, Sri Lanka, Bangladesh and Afghanistan are all confirmed participants, with the remaining spot still up for grabs amongst hosts United Arab Emirates (UAE), Singapore, Oman, Nepal, Malaysia and Hong Kong. Group A consists of India, Pakistan and the qualifier while Group B comprises of Sri Lanka, Bangladesh and Afghanistan. The top two teams from each group will qualify for the Super 4 and two teams will then play the final on September 28. 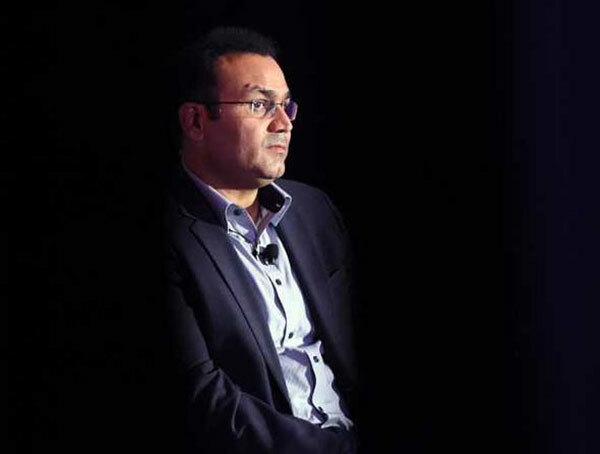 Sehwag said the BCCI should have acted on it rather than reducing India’s ongoing four-day tour game against Essex ahead of the five-match Test series against England. “There shouldn’t be any back-to-back games. If the BCCI had to cancel anything then it should have been the qualifier game in the Asia Cup rather than reducing the four-day practice match against Essex to three days. A player needs at least 48 hours to recover after playing an ODI match because you field for 3.5 hours and after that if you bat for 2 hours then it makes your total time spend on the ground to 5.5 hours. So, it takes a minimum of 24 to 48 hours for a player to recover,” he added. Sehwag, who played 251 ODIs and 104 Tests for India, said playing back-to-back games will definitely take a toll on the Indian players. He also said the poor scheduling will give Pakistan an advantage against India.